I’m not going to write about how the name “Dubai Jazz Festival” doesn’t fit an event with the headliners being a pop rock band, an American alternative rock band, a classic rock band, and an Irish alternative rock band; because that’s been done. 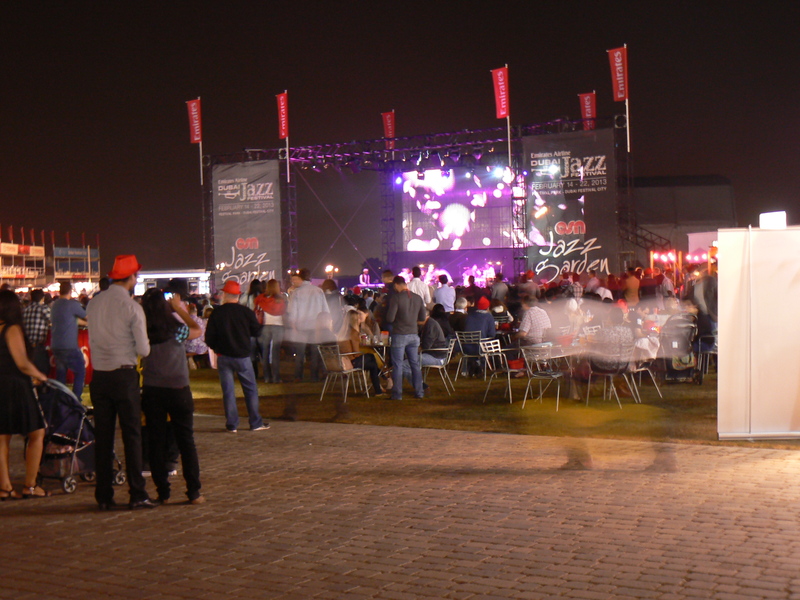 Another series of nights the Dubai Jazz Festival brings is the Jazz Garden. It runs during the festival’s weekdays usually with many jazz artists to look forward to see perform. I have been a frequent attendee of the Jazz Garden in the past few years, where I experienced the likes of Arun Ghosh. 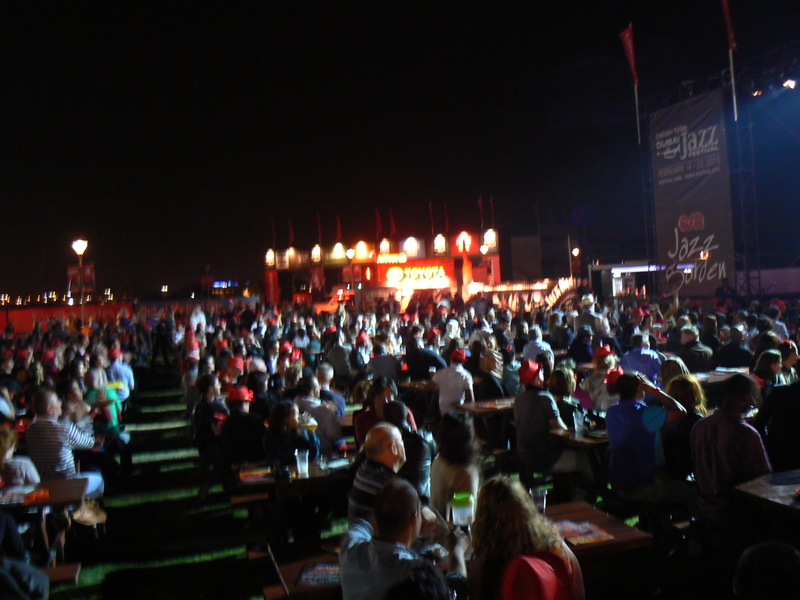 This year’s Jazz Garden’s location has been changed from the chilled out, bean bag laden grass lawn of the Dubai Media City Amphitheatre to the Festival Park near Al Badia Golf Club. A much bigger venue with a more vibrant festival atmosphere, bigger stage, loads of bench tables in front of the stage, and many art exhibitors selling their work. Free access to the Jazz Garden’s granted upon prior online registration. I found myself looking up the artists in the line-up one after the other trying to find some good old jazz. Unfortunately to my picky, non-commercial, and as I would like to think, musically sophisticated taste, couldn’t find anything that excited my aural orifices. 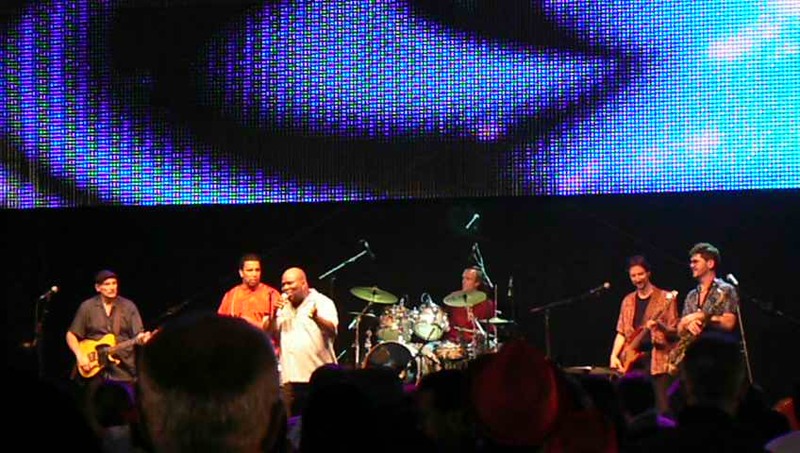 I decided to check out the Garden on the 4th day when Lin Rountree and Barrence Whitfield were performing. Lin Rountree exceeded my expectations being described as “smooth jazz soul trumpeter and composer”. He was getting down with that funk! Great band accompanying him too ( I remember the bassist because Lin mentioned his name before a bass solo, Frank Felix I believe). Lin Roundtree certainly raised my expectations bar and I was waiting for Barrence Whitfield, after a laud introduction, to seal the deal and prove to me that I’m wrong about my musical judgement …. Left half way into his performance. This entry was posted in Live Review and tagged 3 Doors Down, Arun Ghosh, Barrence Whitfield, concert, Deep Purple, Dubai Jazz Festival, Frank Felix, funk, Jazz Garden, Lin Roundtree, Michael Jackson, One Republic, review, rock, smooth jazz, The Script, Trumpet, You Rock My World by yousnasserous. Bookmark the permalink.